I haven't inked up my Swiss Pixies in a while, so I decided to use this adorable gal - Cupcake Birgitta. The dp is My Mind's Eye Lost & Found Two Breeze, and the layout is this week's Sweet Sunday Sketch #158. We hope you'll play along with us! 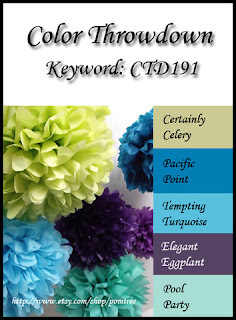 Just link your creations to the Color Throwdown Blog HERE, and check out the rest of the fabulous DT creations while you're there! Meet Pepper the hamster! Isn't she/he (whatever!) CUTE! My daughter has sworn to take care of this little gal, so we'll see how it goes. So far she is super sweet and not skiddish, and I think I've had as much fun with her as the kids have. 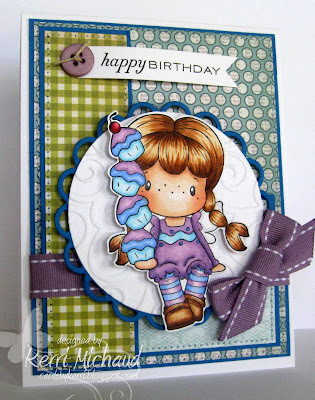 I'll be back tomorrow with a preview from Sparkle Creations Rubber Stamps! Have a wonderful Wednesday! Wonderful card Kerri, I love the beautiful colours! And what a cute hamster, so lovely. Love your card, Kerri! What a great use of all the colors! Great layout, too! Pepper is adorable! Love your card. Great papers and colors and your coloring is great. Pepper is an adorable critter. What an adorable card Kerri! Your coloring is incredible on this cute image and I love your mix of designer papers! Gorgeous card!! Such pretty colors! 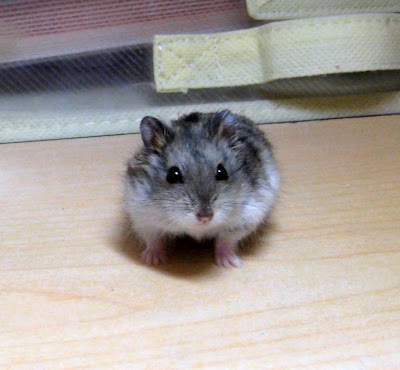 Have fun with the hamster...at least you only got one, we had two but we won't go into what happened to them..LOL!! What a darling image, Kerri...love your gorgeous coloring and the awesome sketch!!!! Little pepper is just as cute as she can be...how fun!!! Such beautiful coloring on the adorable little girl with all her cupcakes! Your new family member Pepper is just as precious! Great coloring and layout, Kerri! Love the mix of patterned papers, too.